As part of the Huntingdon Plan, Huntingdon students may elect short-term travel-study in groups led by faculty during the senior year. Most costs, including airfare, ground transportation, hotel accommodations, and fees for group activities, are covered within regular tuition and fees. Meals and self-selected activities are extra. 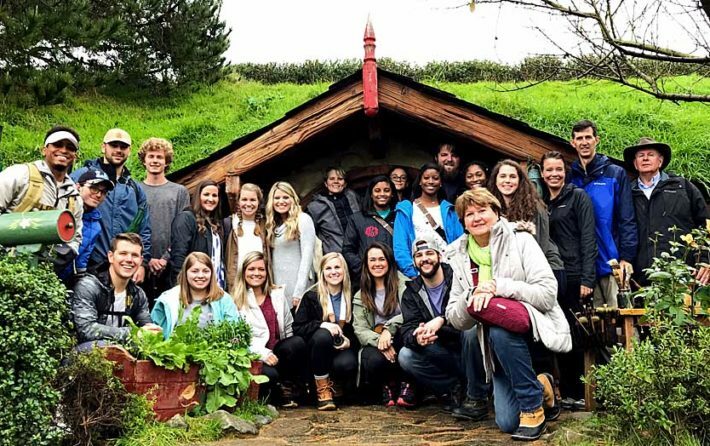 Through travel-study, Huntingdon students experience other parts of the world, deepening their understanding and creating lifelong memories. Huntingdon students may study for a semester or a year in Northern Ireland through the Irish-American Scholars Program. This program is offered through the Business Education Initiative and the Board of Higher Education and Ministry of the United Methodist Church. A special application process is required.